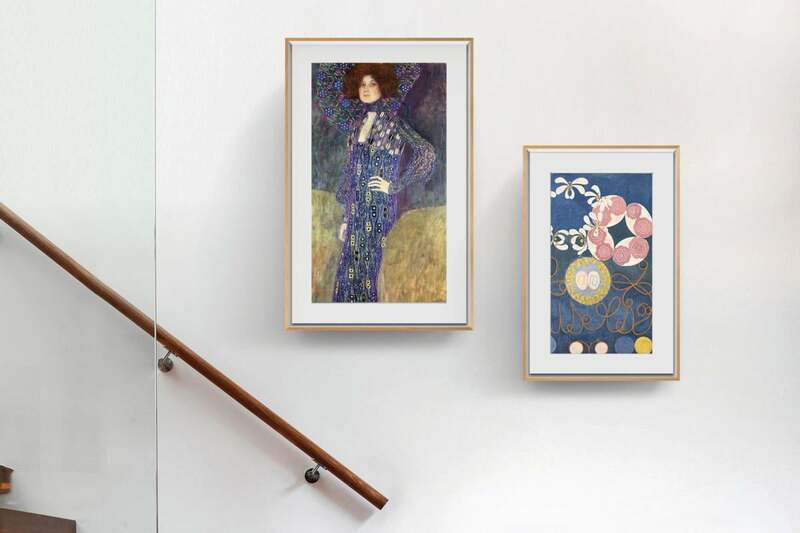 Few of us can afford to hang a masterpiece on our wall, but with a Meural Canvas and an annual subscription fee, many of us can rotate through a library of 30,000 images of fine art. 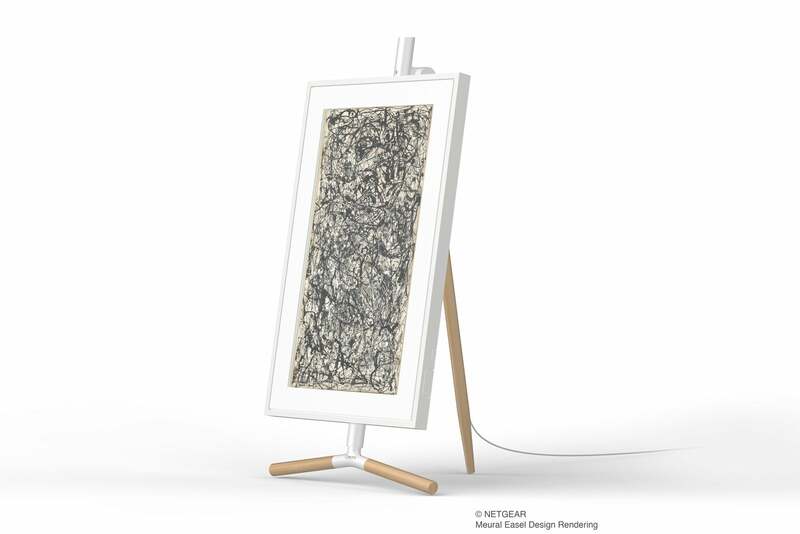 Netgear acquired Meural in August, 2018, following an earlier strategic investment, and the company is showing off its third-generation digital smart frame at CES. It’s available in your choice of four modular frames (black, white, light wood, and dark wood) and in two sizes: the 27-inch original and a new 21.5-inch model. The smaller frame can be placed on an optional easel. Netgear says both frames are based on customized IPS panels specifically designed for the display of art and photography. An algorithm controls how the artwork is displayed, automatically handling gamma correction, color correction, and backlight level. The smaller 21.5-inch Meural Canvas can be placed in an optional easel. The frames ship with a selection of 100 pieces of art pre-loaded. You can choose from image collections curated by National Geographic, Norman Rockwell and the Saturday Evening Post, The Little Prince, and other sources. Netgear told me in a pre-CES briefing that one subscription covers two frames, but the company has not yet released pricing information for either the frames or the subscription. If you want more than two frames, you’ll need an additional subscription for each two. Netgear’s contribution to the new product comes primarily from a new wireless chipset: a dual-band 802.11ac (Wi-Fi 5) model. Adding the frame to your home Wi-Fi network is a simple matter of scanning a QR code. Because the frames require electrical power to operate, however, an even better solution might be to take advantage of the on-board power-over-ethernet (POE+) adapter and run a single cable to it for both data and power. The frame also has side-mounted USB and SD card slots. The Gen 3 frames are equipped with a 1.8GHz quad-core CPU, 2GB of DDR3 memory, and 8GB of storage capacity. One sensor detects whether the frame is in portrait or landscape mode and automatically adjusts the display’s orientation. A second one measures ambient light and automatically adjusts the brightness, while a third recognizes gestures, so you can change the art displayed in the frame with a swipe of your hand.